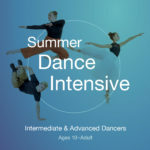 This two-week musical theatre camp will allow students aged 10-18 to develop their theater skills through master classes from professors and professionals. They will also hone their performance abilities as they work together to perform a full-length show! The production will feature professional costumes, lighting, and music! Auditions will be held Friday, May 31st from 5:00pm-9:30pm. Each person auditioning is required to bring a resume with headshot and should prepare a one minute monologue and 16 bars of music. Please provide our accompanist with sheet music if you would like them to play for you. We recommend that you dress comfortably for movement. 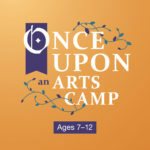 Each child must audition in order to be casted in the performance. 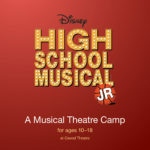 Everyone who auditions will be guaranteed a part in the musical. Questions? Contact us! A read-through and costume fitting will take place Saturday, June 1 from 9am-12pm. *$75 non-refundable deposit due upon registration to reserve your spot. Space is limited! 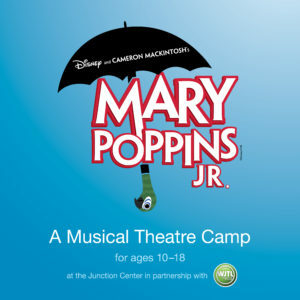 All HIGH SCHOOL MUSICAL JR. and MARY POPPINS JR. camp students, along with their families, are invited to join our trip to New York City to see FROZEN, The Musical. The trip will take place on Wednesday, June 19. 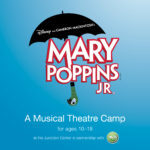 The cost of the trip is $150 per person, which includes the broadway show, transportation, dinner (up to $20) at Junior’s in NYC, and gratuities! Here is Junior’s website for their menu and prices – https://www.juniorscheesecake.com/content/wp-content/uploads/2018/10/Broadway-Main-Menu-09.26.2018.pdf. You can bring cash if you would like to spend more than $20 on dinner. The bus departs at 8:30 am from Cavod and will return around 9:00 pm. A $100 non-refundable deposit (per person/ticket) will be charged to your card upon registration to reserve your space. The $50 balance will be due by June 1st. *All payments are non-refundable. Sign up here to see FROZEN on Broadway!